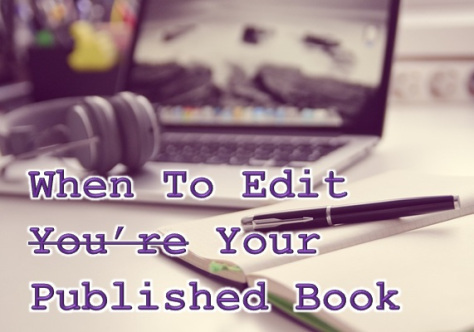 Should You Edit Your Published Book? Like just about anything we do (paint, cook, dance, carpentry, write) we get better with practice. We learn better methods, the tricks of the trade, how to blend color and spices, cut a rug and cut a bevel. We learn how to craft a tight plot and rich characters, show versus tell, reduce dialog tags, choose verbs, kill the adverbs. If we’re lucky, we get strong feedback from editors, critiquers, and beta readers. We take courses, read books on writing, and write, write, write. Knowing that improvement is a given, the books we wrote five years ago might not look as polished as those we write today. As I reclaimed my publishing rights from my publisher, I planned to reread my books to correct typos and buff them up a bit. I didn’t expect to do much rewriting – after all, the books were edited and they’ve received decent reviews. 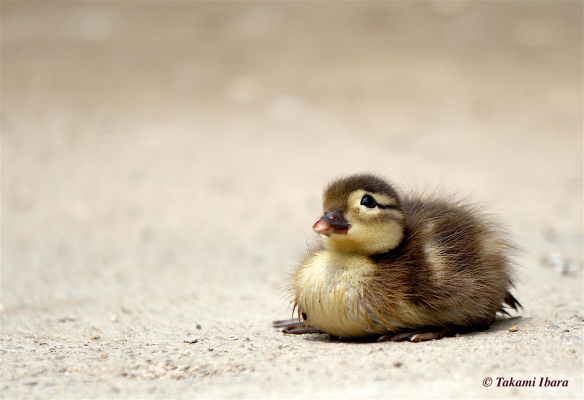 Just wanted to share one of the cute images from this site, because this person takes amazing pictures. So, I’ve been telling you guys about choosing love for awhile, but I’ve never really articulated exactly what I mean about it. I’ve had several people accuse me of talking about the old hippie adage where you should go and hug everyone you meet, and tell them you love them. No, I’m not talking about going and hugging that man pointing a gun at you. I’m not telling you to ignore the dangers of the world. I’m telling you to start approaching them with love. If you’re walking around a dangerous area, you need to be aware of your surroundings. You need to realize that not everyone is your friend, and there are some people who only seek to hurt others. My point is, you can’t approach everyone as if that’s the way they are. If you do, then to me you’ve given up hope. I’ve mentioned before I used to work in a psychiatric hospital. I don’t know if I’ve told you, but I’ve done some things and been put in situations that were a danger to myself in order to protect others. It’s hard to forget watching a man rip a water fountain out of the wall with his bare hands, and then having him charge across the room at you. When he did that though, I didn’t get angry at him. I didn’t try to punish him past the moment. I did enough to keep him from hurting me or others, and we sedated him with drugs. The next night he made it a point to come out and apologize to me. No one told him to, he knew he needed to. I didn’t get angry at him, tell him I refused his apology. I listened, told him I understand losing one’s temper, and that I accepted the apology. As a grown man should do for another person. I started thinking about all the tortured souls I’ve met in my life. People that suffer in life from internal demons, or diseases that warp the body as well as the mind. I’ve seen some who should be caregivers treating these people as if they don’t deserve respect (That never lasted long in front of me). I’ve also seen the blatant idiot that does way worse damage trying to help, than they would have if they had done nothing. Sometimes you have to do things you don’t like in order to stop pain later. Choosing love means doing the right thing, not because it’s easy, but because it’s right. It’s why I don’t condemn any officer who fires their gun in the line of duty because they feel threatened. They’re doing a job, trying to police an unruly nation. Don’t mistake it, we are unruly. So, I’ve been thinking of all these tortured souls, and what should I do, how should I do it? Where should I go with my life? How do I explain to people what I mean by choose love? The problem with America is we all get stuck in our own little bubbles. With the advent of the internet, those bubbles are getting much smaller. We’re realizing things about each other that we never realized before, and it scares us. There’s people who fear what you don’t, and you fear what they don’t. There’s people who are afraid 9/11 was an inside job, and other people that look at them like they’re crazy. Yet the same people who say it’s impossible for America to have perpetrated an attack on itself believes that Obama is the antichrist coming to destroy everything America stands for. It’s all so damned confusing, and it feels impossible to find which side you should be on, or even if you should be on a side. There’s more than two choices, and that’s what frustrates me about our political process. Why are we only hearing two voices? Why are we not hearing from more people? I can’t think of two candidates that were more hated in my lifetime. So with that, the confusion and the chafe meant to distract us all away from what matters, I chose to ignore it. Oh, if you were to go on my facebook, I’m sure I have a crap ton of political stuff on it, but I really don’t give two craps about it. What I mean is I choose to read both sides, and find the side that fits with what I believe. I listen to the voice I disagree with, to learn what stirs their passion, and I add it to my accumulated knowledge. I make a rational decision once I have the choices in front of me. I’m not going to try to tell you who to vote for, I really don’t care who you vote for. I want you to do as Ted Cruz (I can’t believe I’m agreeing with this man on something, anything.) said, and vote with your conscious. Vote with love. Don’t give into fear and anger which sap away rational thought. He may be a fictional character, but Yoda was right when he said, “Fear is the path to the darkside. Fear leads to anger. Anger leads to hate. Hate leads to suffering.” I bet you he would understand Dr. King’s words, about hate being too great a burden to bear. Now that I’ve started to choose love in my everyday actions, I’ve started to notice a difference. I can get angry at someone because I love them. I listen better to other people’s arguments because I’m choosing to love them. I’m even using my past, and seeing people threaten my family and I’m loving them to use them as fuel. It’s helping me to write my next book, a stand alone project to have some fun with. For some reason I like descents into dark places, for all that I talk about love. I hope that you too start to #ChooseLove in your everyday life. #SupportIndieAuthors!